You may or may not have heard about the new Pokémon Go game – although if you haven’t you must be living under a rock! It has officially gone viral. Earlier this week, people were finding ways to download this cultural phenomenon before it’s official UK release yesterday. The mobile game may have even surpassed every expectation that Nintendo had for it – the stock of the company has increased an astonishing 70% since release! So, find yourself in an office full of people humming, with the occasional off tune ‘Pokémooooooon’? Don’t worry, it’s no different here at SQ Digital. But there’s a reason for it! If it appears to have been pulled out of thin air, it is thanks to the power of social media – instantaneous sharing has almost acted as a marketing campaign in itself for Pokemon Go. When you see so many of your peers enjoying the game it makes you want to play yourself. It’s a domino effect; the framework of the viral marketing age. It’s no coincidence that Nintendo has found such immediate success with this game. As the saying goes, timing is everything. Imagine if this game had released in the midst of deepest winter, with rain flooding the streets and snow threatening at any minute. No one would dream of wandering out at midnight to chase down a stray Abra that has suddenly appeared down the street. Schools are also out for the summer – for the most part – so lots of younger people are also enjoying the stretch of free time and Pokémon Go. Not only that, but 2016 also marks the 20th anniversary of the first games release in Japan. It’s almost as if the stars have aligned to make this release a success. That’s what good marketing feels like, a complete coincidence and not a well thought out and carefully executed strategy. Another way the company have guaranteed the popularity of this game is in the way it plays. The controls are easy; the learning curve is a small bump which makes it appeal to people that have never even played the original games. There are no instructions per say, you’re expected to know the basics of Pokémon – i.e. catch them – and play on from there. The easiness translates to a larger audience potential. So, if you’re put off and hesitating to press the download button because of your lack of Pokémon experience? Prime your thumb: you have that excuse no longer. A lot of the players currently waving their phones in the air (like they just don’t care) in search of a purple rat, Rattata for those not aware, will be the players of the 1999 phenomenon. The fans of the original games are now in their twenties; they have transformed from small children to a demographic with huge buying power. As a generation with the world at their fingers tips, they are on the pulse point of the modern world. How many advertisements did you see for Pokémon Go? The answer is probably none. If it seems to have appeared out of thin air it is thanks to the power of social media, instantaneous sharing has almost acted as a marketing campaign in itself for this game. When you see so many of your peers enjoying the game it makes you want to play yourself. It’s a domino effect; the framework of the viral marketing age. But, being aware of your audience is only half the (Pokémon) battle. The Pokémon brand is well established; a fact that has made the widespread playing of this game so understandable. As a standalone game, it’s fun and very playable, but the well-known brand makes it accessible to the large audience that has downloaded it. It tickles the nostalgia bone in players and brings you back to a childhood of arguing over Pokémon cards in the playground. We all wanted a Pikachu when we were little, it seems like some things well and truly never change. Pokemon Go represents exactly what good marketing feels like: it goes so well that it’s as if it were a complete coincidence, and not a well thought-out experience and campaign. Kari’s Top Tip: Buy some Ziploc bags! Has your Pokémon journey taken you out into the rainy weather more than once? Ben’s Top Tip: Steady your aim as you attempt to catch these colourful critters. If you aim for the green circle, in particular, you will gain a small XP bonus. 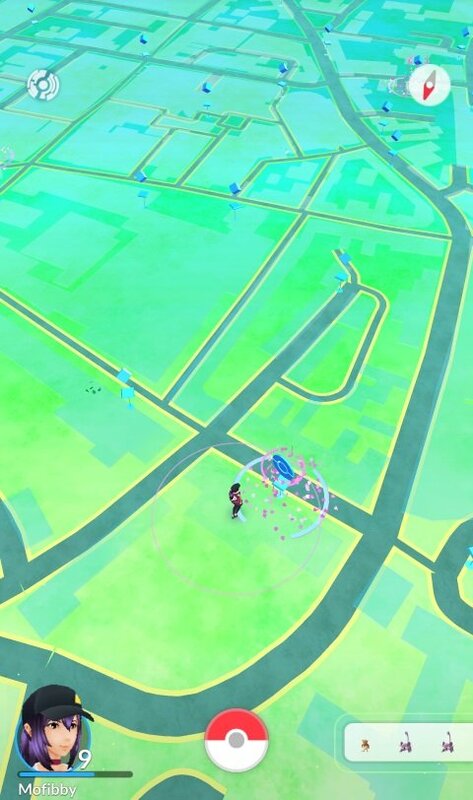 Matthew’s Top Tip: Opening the nearby Pokémon tracker and selecting a specific Pokémon will not only show your rough distance to it but increase your chance to find it. More Matthew Top Tips: Pokémon Go uses the real world to determine the game’s terrain, e.g. water will be water and a field will be a grassy area. Pokémon spawn in areas they would naturally inhabit, for example, you will find more water Pokémon near water. “No One Replied to My Tip Request but Matthew” Top Tip: Once you engage a Pokémon you will remain engaged until it escapes or is captured. This means you can walk away from where you first encountered it and still have a chance to capture it. Great when you are in a hurry and encounter a rare! On a mission to catch them all? Excited by the genius behind the Pokémon Go marketing? Contact SQ Digital! Give our digital marketing agency a call on 01524 580 777 or follow us on Facebook, Twitter, LinkedIn and Google+ to stay up to date with our news!